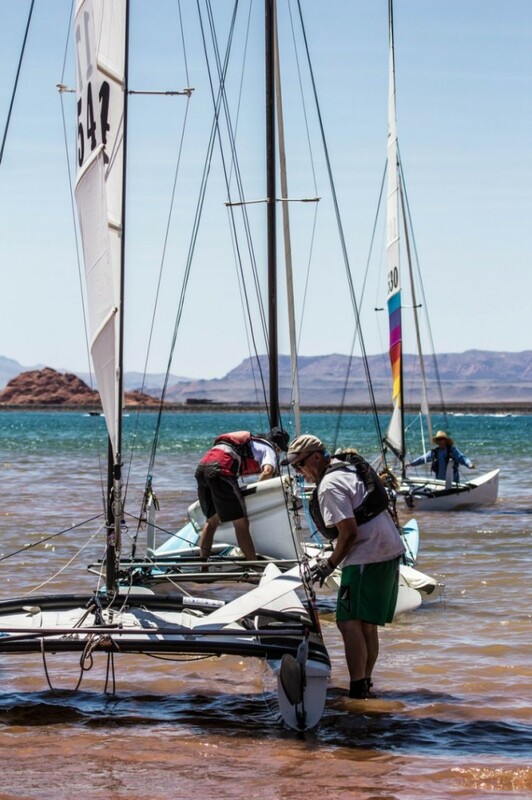 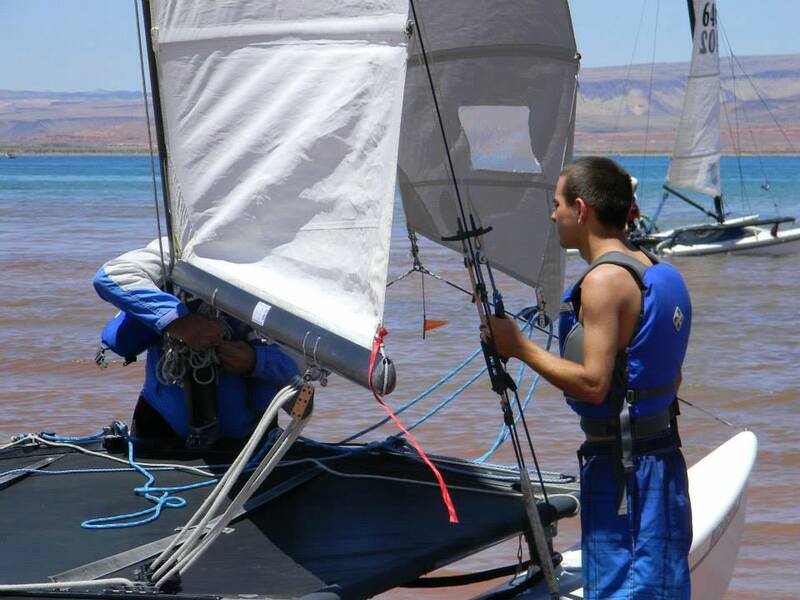 HURRICANE – Paddlers and sailors met at Sand Hollow Reservoir Saturday and Sunday, keeping early-summer events going with demonstrations, races and other activities. 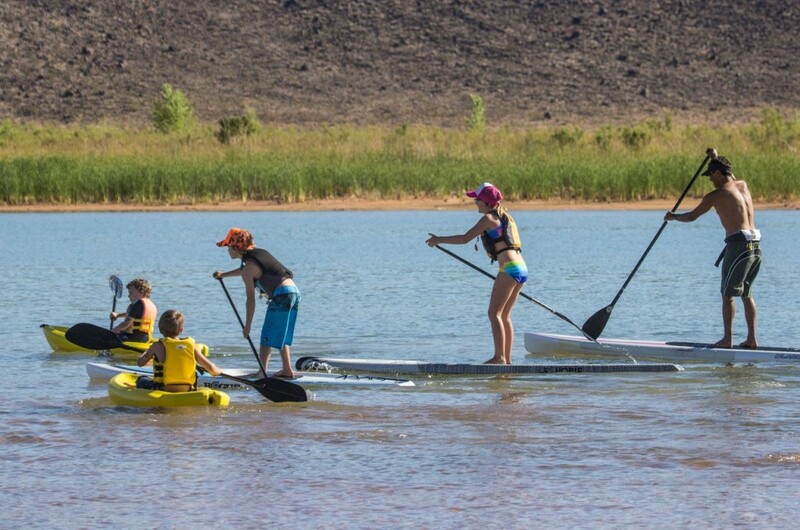 All ages and skill levels of racers started off Saturday morning by racing standup paddleboards across the reservoir, with courses as long as five miles. 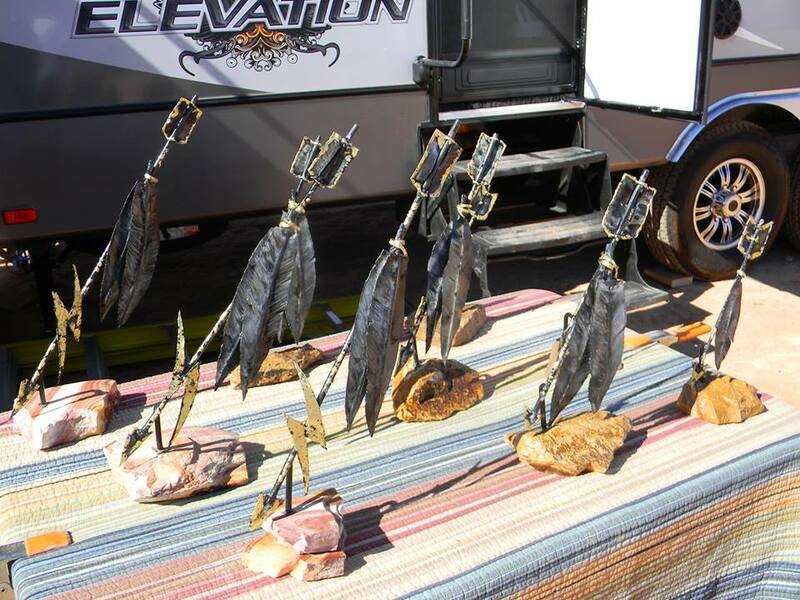 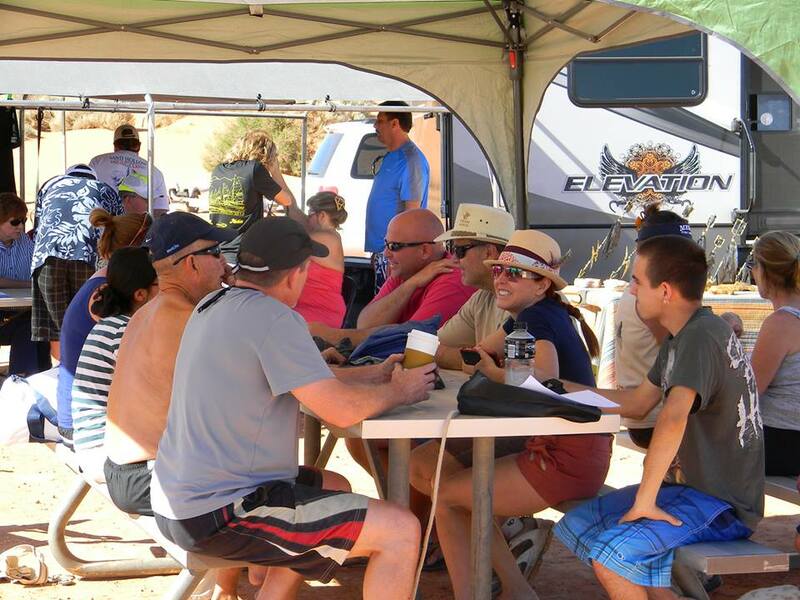 Utah-based manufacturers Glide and Amity were also present to support riders, demo products and introduce their companies to riders new to the sport. 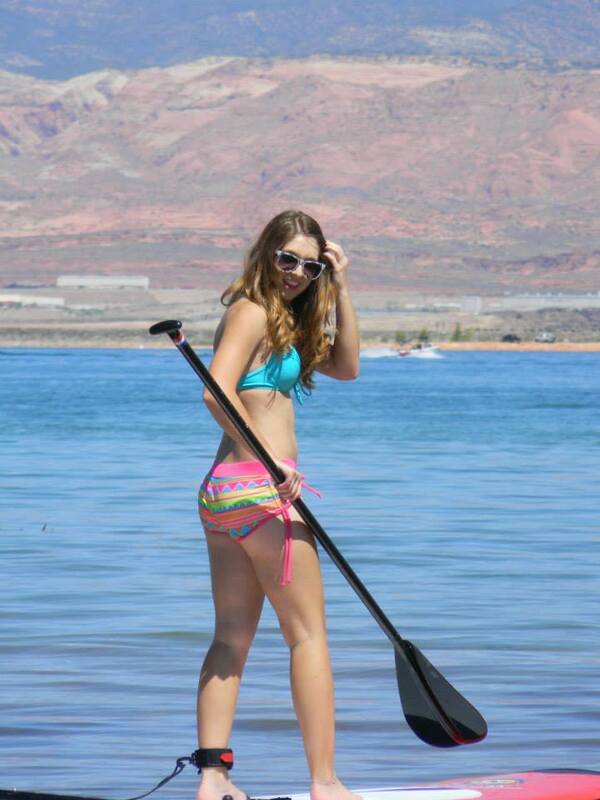 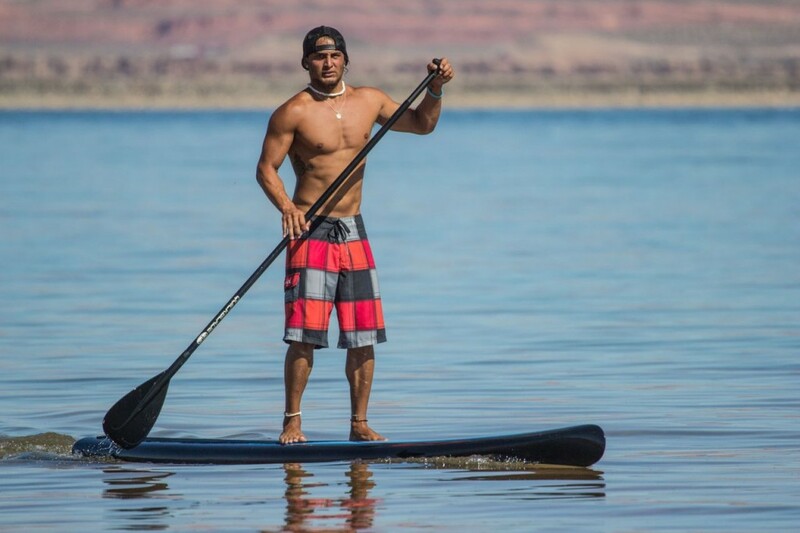 Although standup paddleboards are traditionally found in coastal areas, companies like Dig Paddle Sports, located in Hurricane, have brought this sport to the ideal waters of Southern Utah. 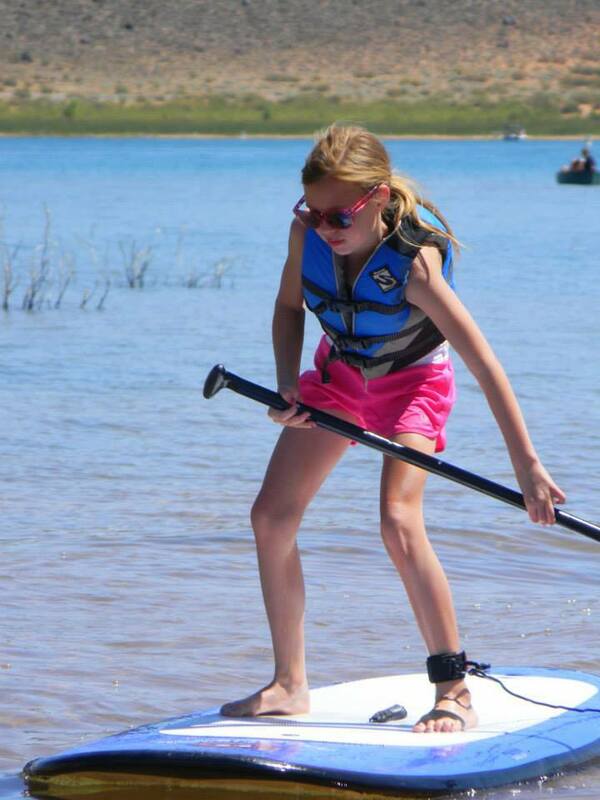 Riders who are new to the sport are able to rent boards for the day, and learn how to ride in relatively calm lake waters. 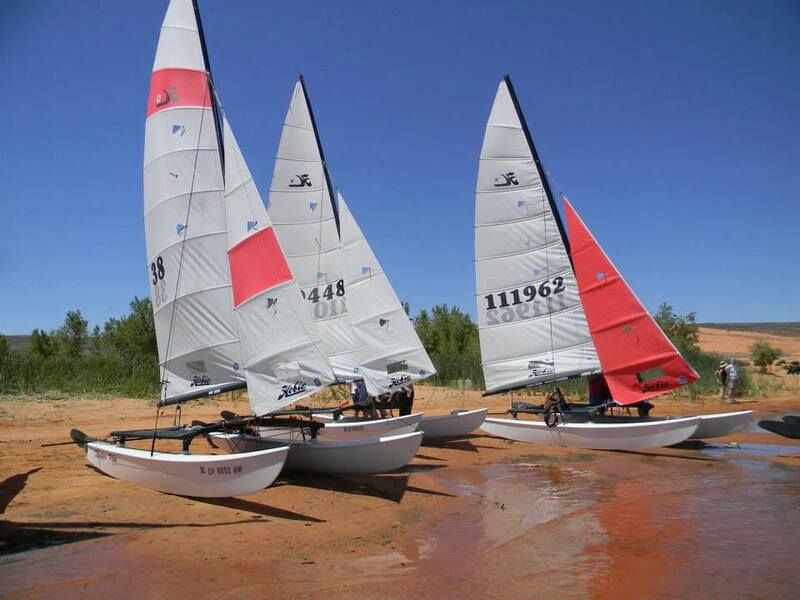 The sailboats, more specifically hobie class, are restricted to a specific design, material and other regulations that even the playing field for all crews. 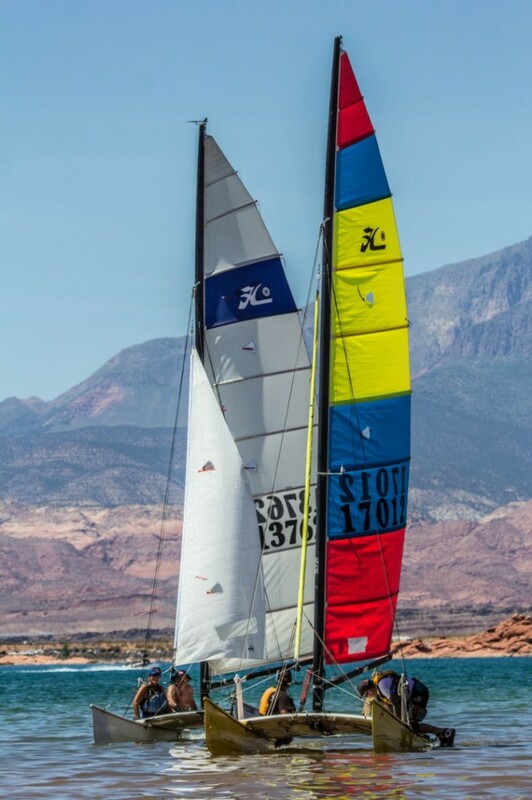 The boats are designed for two passengers, but occasionally experienced skippers are able to manage racing solo. 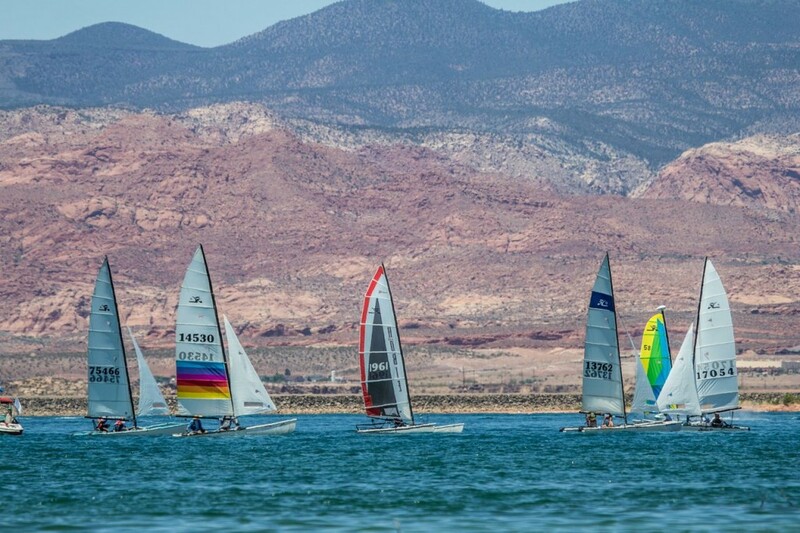 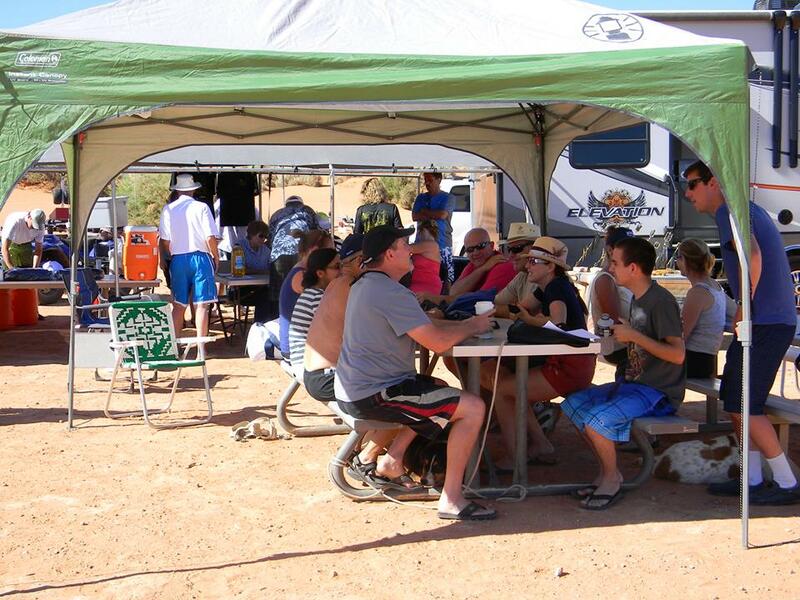 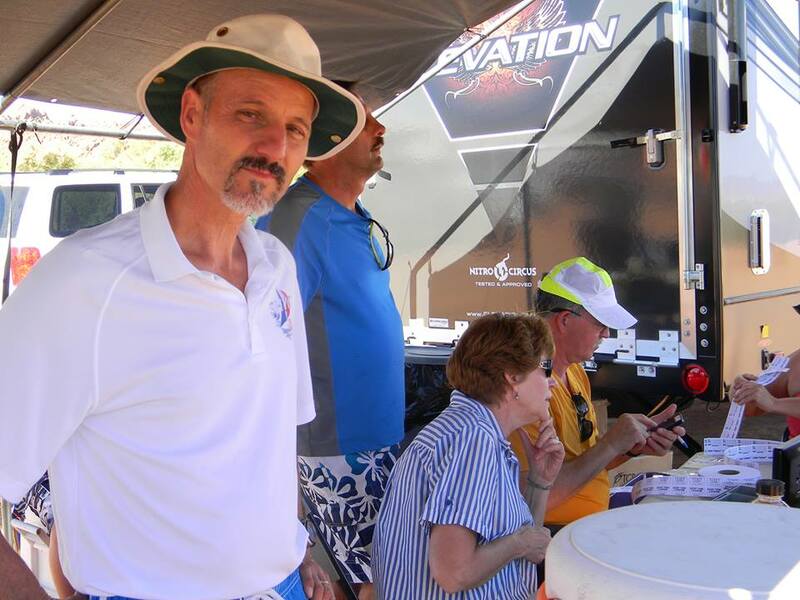 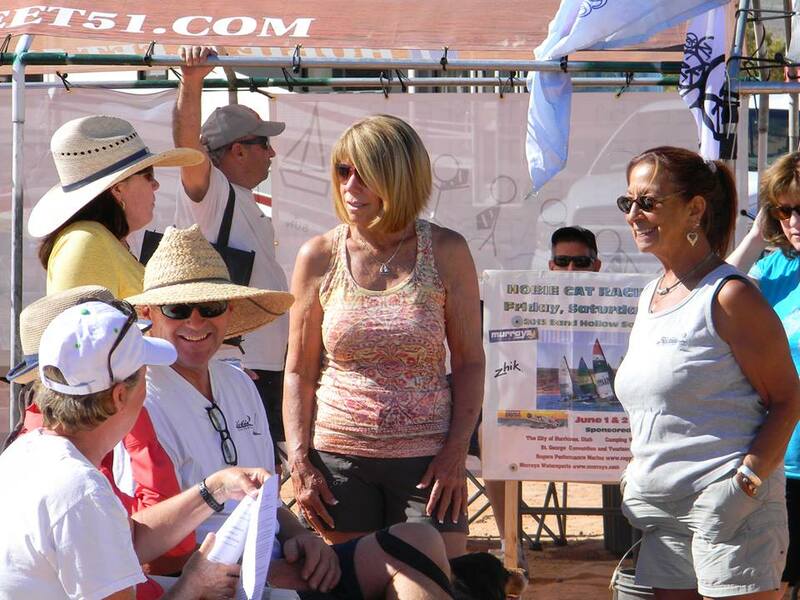 The Sand Hollow Yacht Club has been growing a community of boat owners over the last four years, and has held races at Sand Hollow for the last three years. 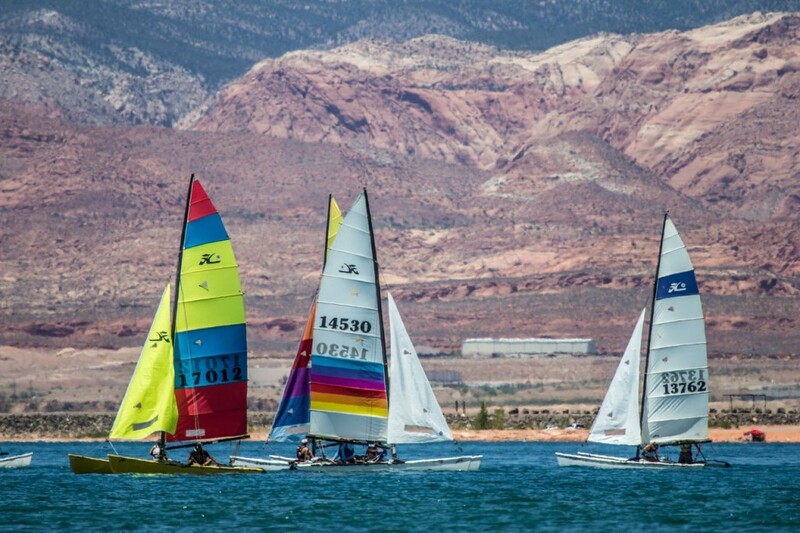 This year, however, is the first year for the race to be nationally recognized with the Hobie Class Association of North America. 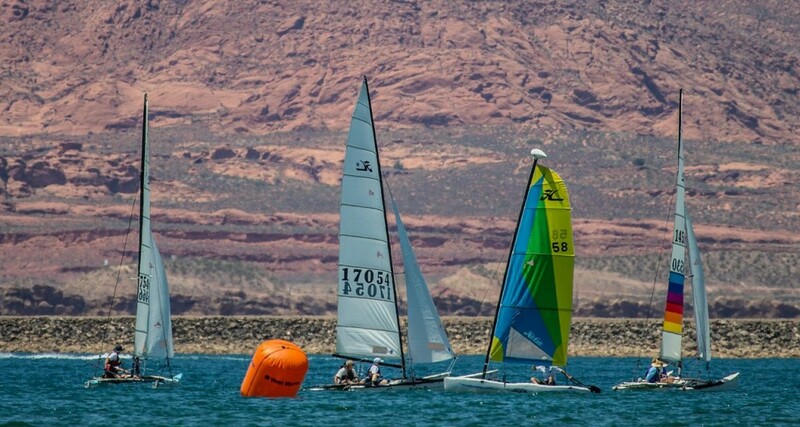 Saturday, unfortunately, was lacking the essential element of wind and delayed the boat races to Sunday. 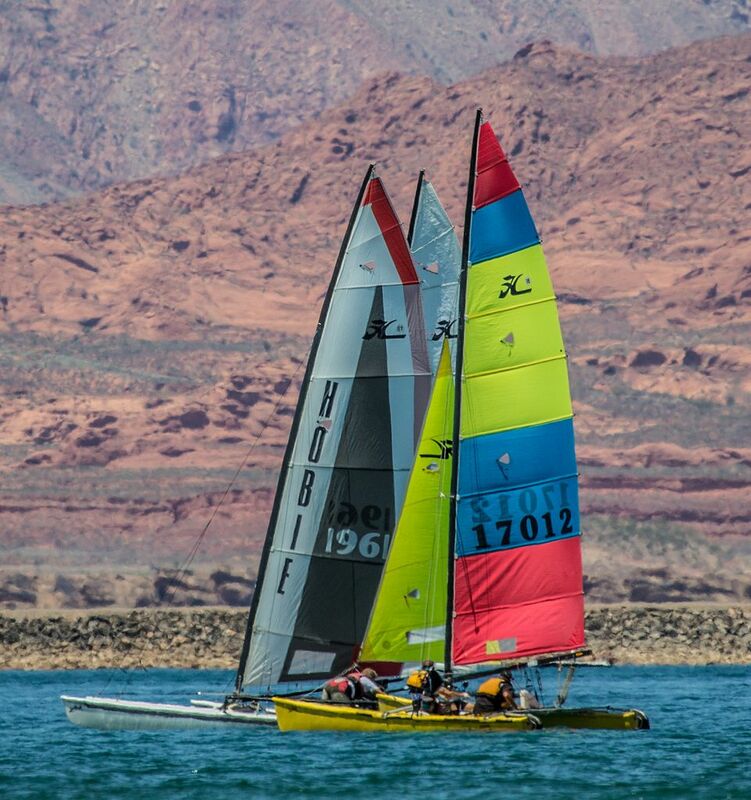 Early that day, it didn’t look too promising, but finally the winds came just in time for the patient skippers to fit in a few races before heading home. 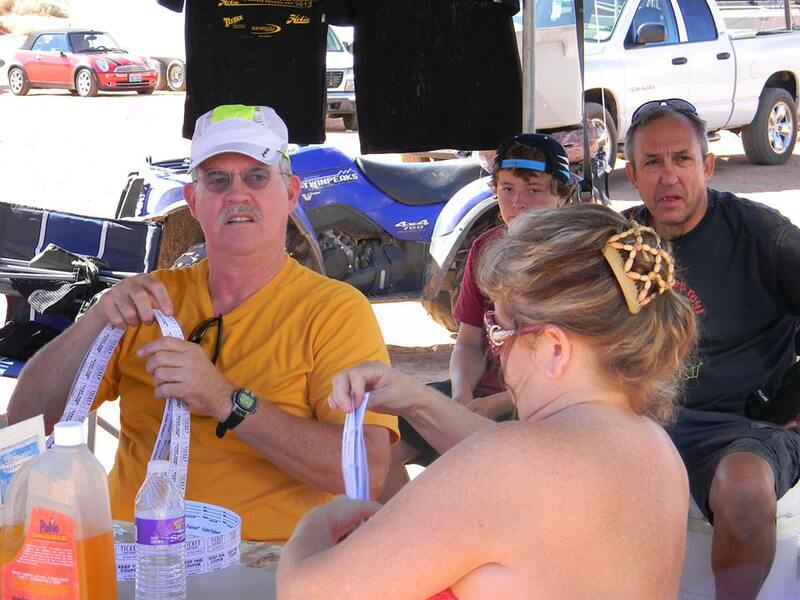 Racers came from surrounding states, and as far away as California. 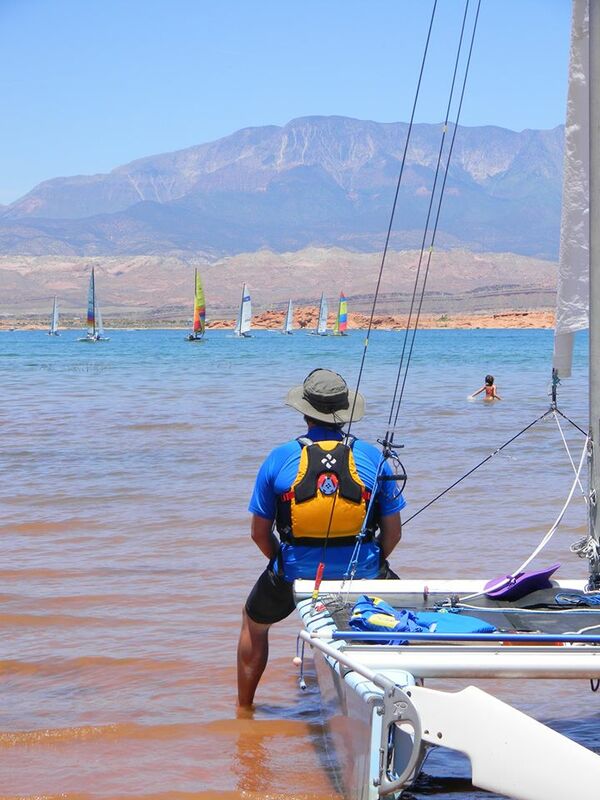 Both the paddleboarding and the sailing groups are open to those interested in becoming involved, and more information can be found on their individual websites, or by contacting local clubs. 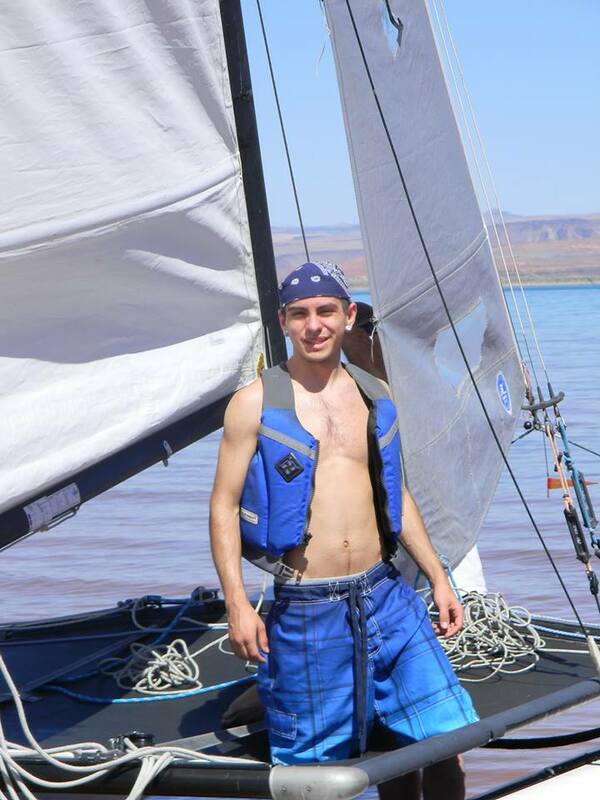 Chris, thanks a ton for coming out to the lake with us! 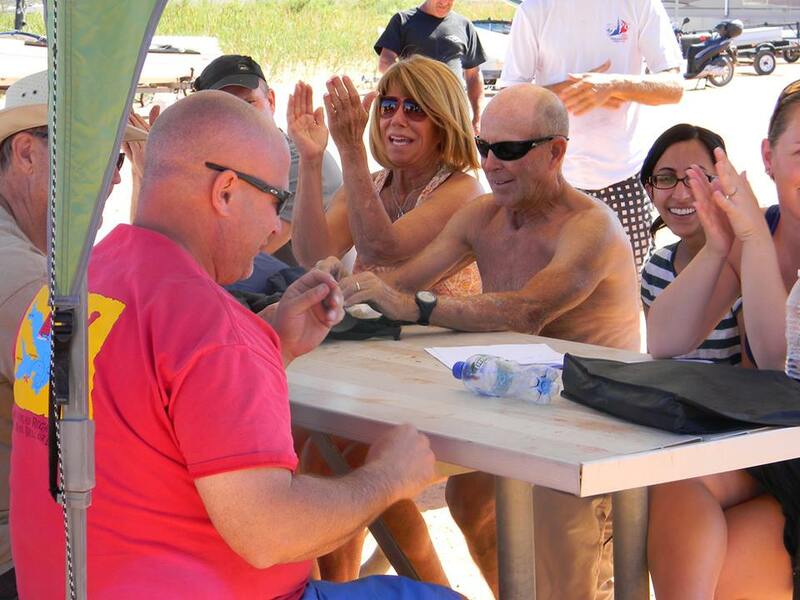 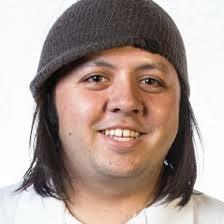 Great story, and hope you can come back for August 17!